The Chesterfield Selectboard will hold a Public Hearing regarding the Mass. Community Development Block Grant FY18 for two Program Amendments. The hearing will take place on Tues. April 16, 2019 at 5:30 PM in the Selectboard meeting room in the Town Office Building, 422 Main Road. The building is accessible to persons with disabilities. Any persons needing special accommodations should contact Hilltown CDC (296-4536, ext. 115) at least one week prior to the meeting. All persons or organizations wishing to be heard will be afforded the opportunity. A Program Amendment is being requested to add a Planning Activity to support ADA activities within the town. A Program Amendment is being requested to add a Personal Medical Device component to the HEN program. Hilltown CDC has acted as the Collaborative Applicant for the Three County Continuum of Care HUD funded program for the past 6 years. 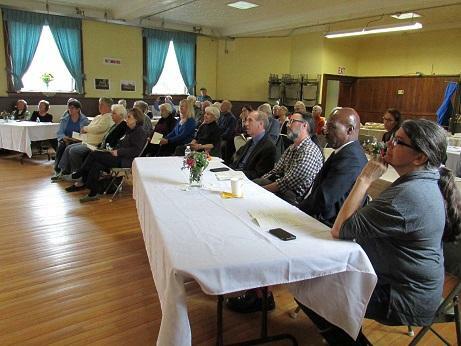 This program provides regional funding across Hampshire, Franklin and Berkshire counties to agencies who are providing services to the homeless. After six years Hilltown CDC determined this program was not aligned enough with the mission of the agency and began the process to find another agency interested in administering this important federal program. Through a public bidding process, Community Action of Pioneer Valley was selected to administer the program going forward. Hilltown CDC has begun the transfer of the program and the process should be complete by June 30, 2019. 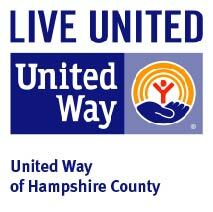 Community Action of Pioneer Valley is well suited to operate this program. They have a presence in all three counties and a number of programs and services that address poverty and it’s symptoms. The program provides close to $2 million in funds for the region and provide rental assistance and case management services to reduce homelessness. In a statement about the transition, Hilltown CDC Director Dave Christopolis writes, “We believe that housing is a right not a privilege. We know that many of our friends in western MA struggle with homelessness and have difficulty finding affordable housing. We know wages have not kept up with costs of living and that there is a desperate need for new jobs and housing production. We know the cost of homelessness is putting a burden on the tax payer and on our social fabric. We know that homeless people are often treated like criminals. We know that this can be generational and that children who grow up in homeless shelters are at a disadvantage later in life. We know that people’s lives are robbed because they don’t have the economic opportunity to maintain stable housing where they can find work, raise a family and contribute to society. We know that the millions of homeless in the United States on any given day is a reflection of the current state of our spiritual bankruptcy. A study released by the Western Massachusetts Network to End Homelessness revealed that in January 2018, 2,899 people were documented as homeless in Western Mass. Hilltown CDC, on behalf of the Town of Chesterfield, invites you to a public hearing to collect your input regarding potential projects to be included in the FY2019 Community Development Block Grant application. Typical programs included are: Housing Rehabilitation, planning projects, Hilltown Elder Network, Health Outreach Program for Elders, Hilltown Food Pantry and Childcare Subsidy. If there are new programs/activities you would like to have considered, please let us know as well! Your participation and input on these programs is greatly appreciated. The Hilltown CDC is pleased to share that MassDOT has accepted the Complete Streets Plan put together by the town of Goshen Select Board, Highway Superintendent, and the town’s Complete Streets committee, making Goshen one of the smallest communities in the state to adopt such a policy! 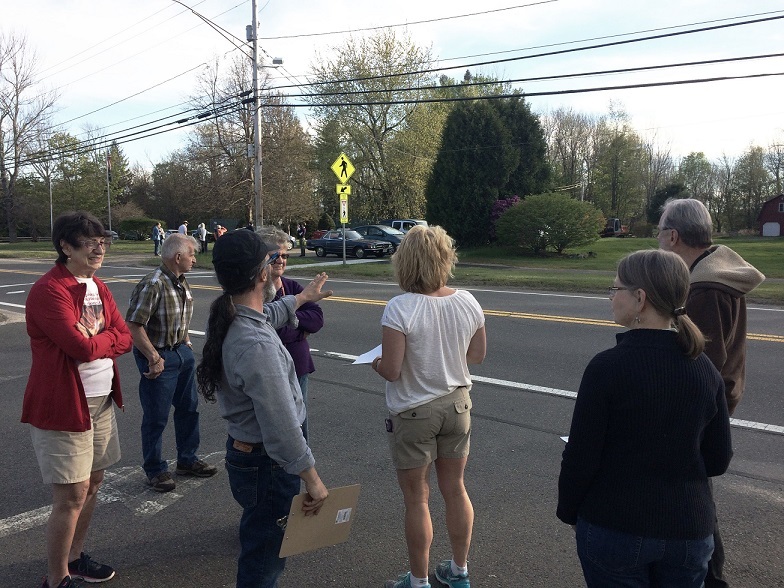 The plan was developed in partnership with the Hilltown CDC and Healthy Hampshire, with assistance from WalkBoston, who conducted a walk audit with community stakeholders in the Spring of 2017 (pictured). The plan emphasizes safe walking, signage, streetscape design and walking trails that connect the town center to the DAR State Park and other recreational areas. With recent renovations to the Town Hall and the new senior housing development project completed in June 2018, accessibility - particularly for older adults - including crosswalks, ramps, and other amenities became a high priority for the town. Creating a sense of place that is both accessible and attractive will also encourage pedestrian activity, calm traffic and contribute to a sense of community. Now, Goshen is turning their sights to a town-center planning process funded through the Executive Office of Energy & Environmental Affairs. Congratulations Goshen! Need help paying for childcare? Childcare subsidies are available for working families with children ages 0-5 residing in the towns of Chesterfield, Cummington, Goshen, Peru, Plainfield, and Worthington. Parents must be working, or in a vocational or educational program during childcare hours to qualify. Payments are made directly to the licensed daycare provider of your choice. 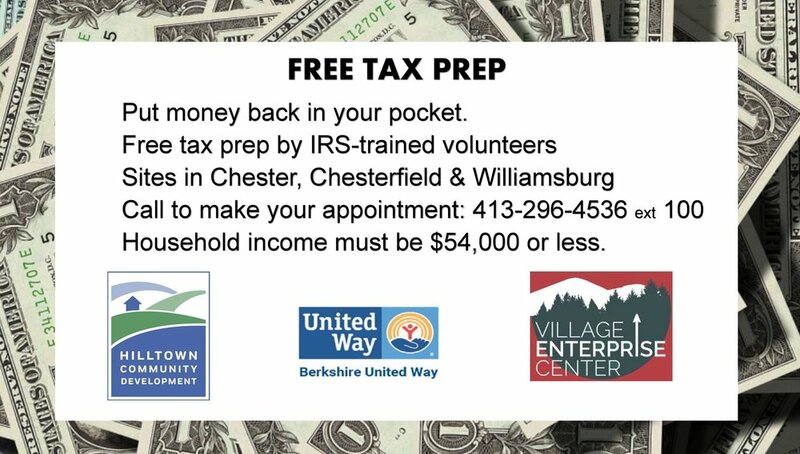 Depending on income and attendance, the program may be able to cover all or most of monthly costs. This fall the Hilltown CDC celebrated the completion of the Goshen Senior Housing project. Highland Village Circle consists of ten one-bedroom apartments for tenants who are at least 62 years old and who meet income qualifications. 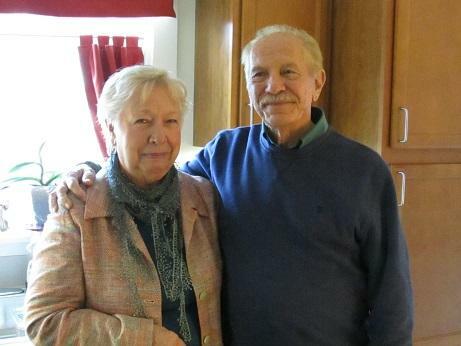 The apartments are located in the town center, across Route 9 from Town Hall and within walking distance to the Municipal Office Building, the Council on Aging, the Congregational Church, the post office, and the general store. Goshen’s Select Board appointed the Goshen Elder Housing Committee in the year 2010 to explore the possibility of building housing for senior citizens. 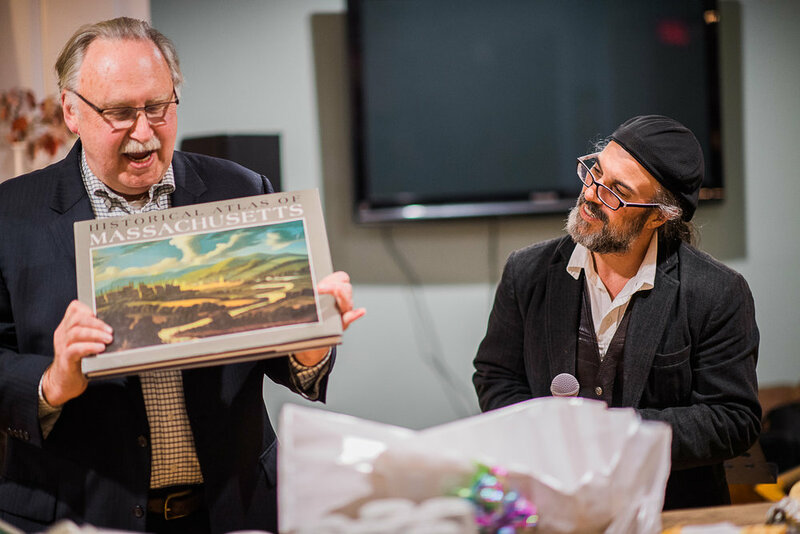 The five-member committee met for eight years and worked with the Hilltown CDC to make this idea into a reality. 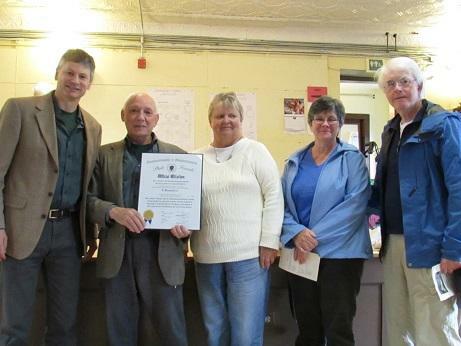 At the September 28th Open House a proclamation by the Massachusetts State Senate honored the five members of the Goshen Elder Housing Committee, all of whom served for the entire eight-year period from the time of their appointment until the completion of the project. Job well done! The Village Enterprise Center in collaboration with the Hilltown CDC, Southern Hilltown Adult Education Center and Jacob's Ladder Business Association is offering an ongoing series of classes and workshops aimed at assisting entrepreneurs and small business owners to start and grow their businesses in the Hilltowns! Social Media for Business: learn the basics of social media for business and how to market your products and services on Facebook and Instagram. Beginner and Intermediate Quickbooks: hone your bookkeeping skills. Photography for Online Sales: learn how to photograph your products for sale. Paypal for Buisness: learn how to accept payments on your website or in person and email invoices to your customers. You Tube for Business: create your own channel and start posting videos. For more information check out the latest Hilltown Small Business Assistance Newsletter . To reserve your spot call the VEC at 413-354-1055 or email Michele !